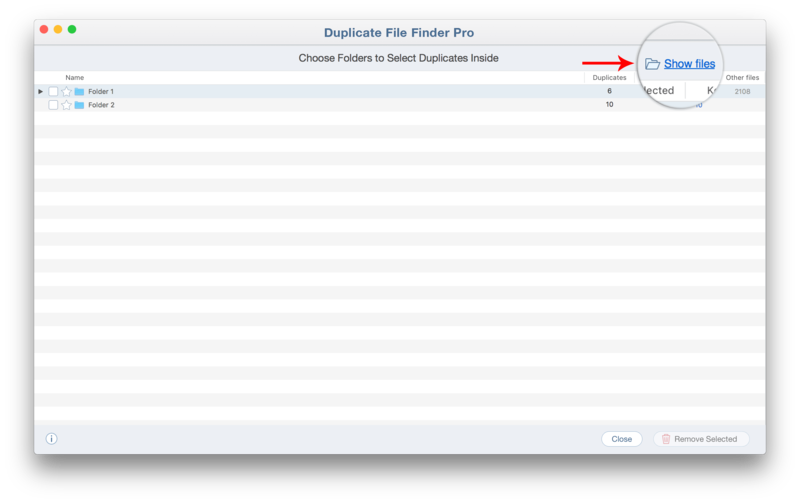 To select unneeded copies in a specific folder, use the Select Duplicates in Folder option. Click the Select Duplicates in Folder button. You will see a new window with a list of your folders and detailed information about how many duplicate and unique files each of them has. Click on “Show Files” to preview the folders’ content. If you want to select duplicates in a folder for removal – tick the checkboxes near the folder’s’ name. If you want to keep all files in a folder, and select their duplicates in other folders – click the Star icon near the folder’s name. Then click the Remove Selected button. Preview the files once more and, if everything is in order, click to Remove them. Note that when you remove duplicates in the “Select Duplicates in Folder” window, you can be assured that you will not remove all copies by accident. 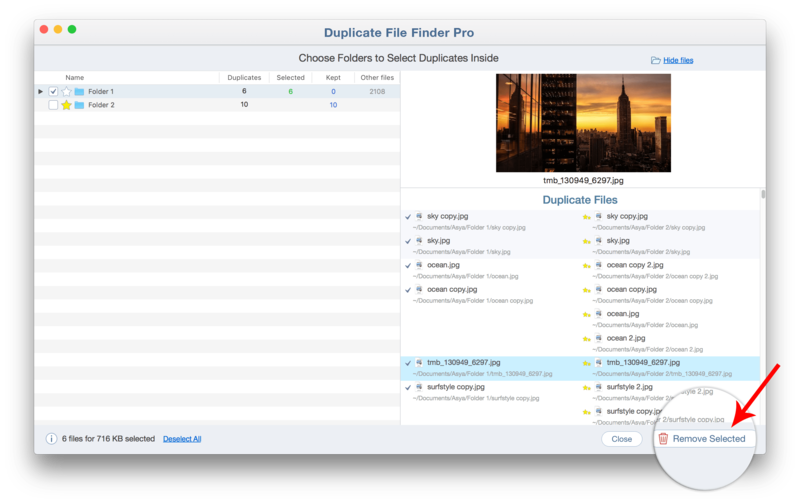 At least one duplicate will be kept because the application makes it impossible to select all folders and duplicate copies. That’s all! 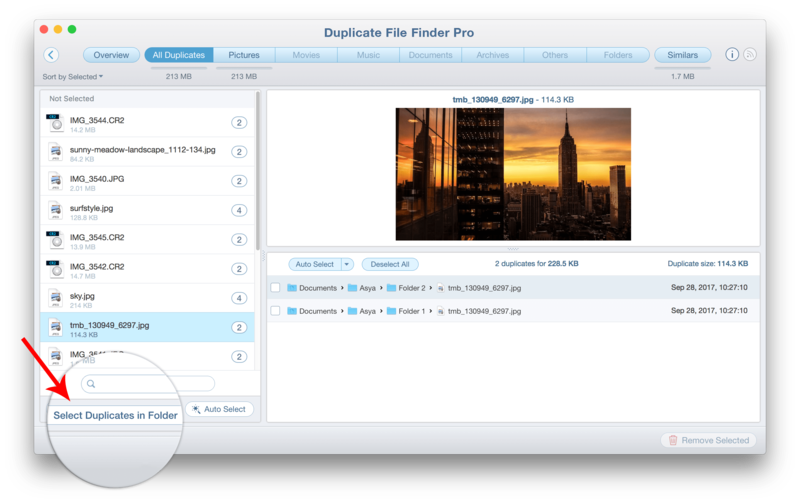 Use Duplicate File Finder to easily compare folders for duplicates and get rid of unneeded files. 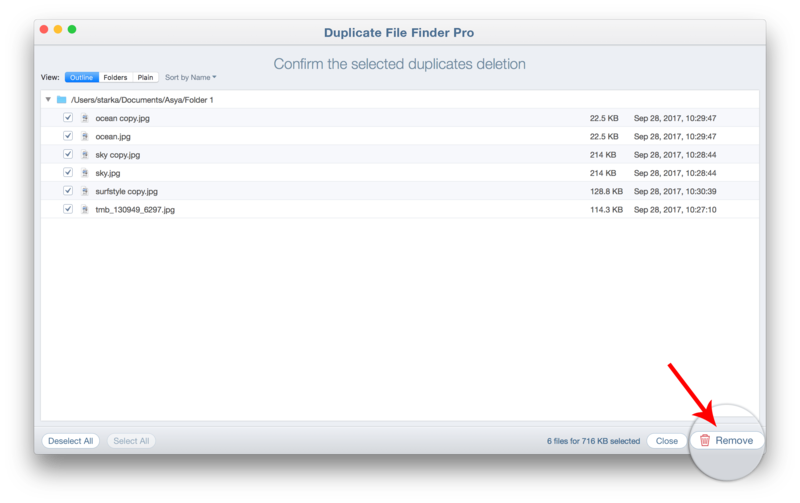 Read more about the “Select Duplicates in Folder” option.